Though traditionally called Benarasi paan, it is served and loved in most parts of India as well as South Asia and Southeast Asia as regular paan. The first time I heard the word “paan” was in Amitabh Bacchanji’s famous song, Khaike Paan Baneras Wala, while watching his film Don. It was only after this, that I learnt about this very delicious mouth freshener. Considered to be primarily a digestive dessert, it is served at weddings, restaurants and in many Indian homes at the end of a feast, is necessary addendum to a fantastic meal. 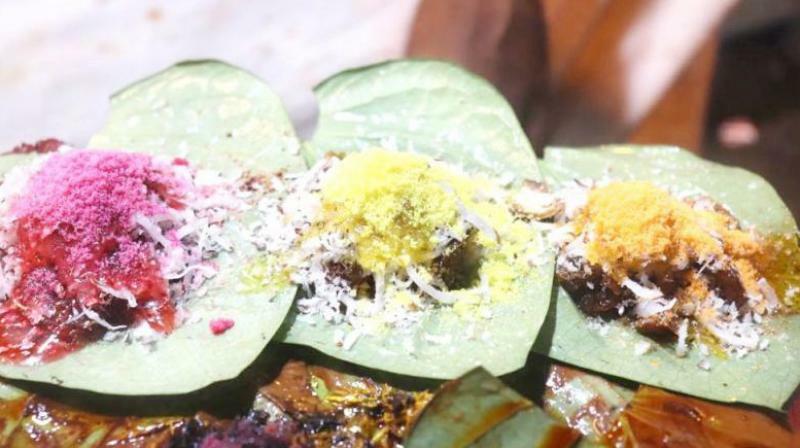 The true Paan connoisseur buys the betel leaf, applies slaked lime paste (chuna), adds in candied fruits, rose paste (gulkand), coconut and areca nuts (supari) and folds this concoction into a triangular shape (gilori) held together by a stick of clove, which must be tucked into a corner of your mouth — all in one go! All this requires skill and precision and unequal proportions of a single ingredient would cause it to lose flavor! But paan dates back to over 2500 years, when queens in palaces, used it to make their lips attractive with its bold red color, while kings ate it before they went to bed, as a mouth freshener and more importantly, as an aphrodisiac. Though traditionally called Benarasi paan, it is served and loved in most parts of India as well as South Asia and Southeast Asia as regular paan. 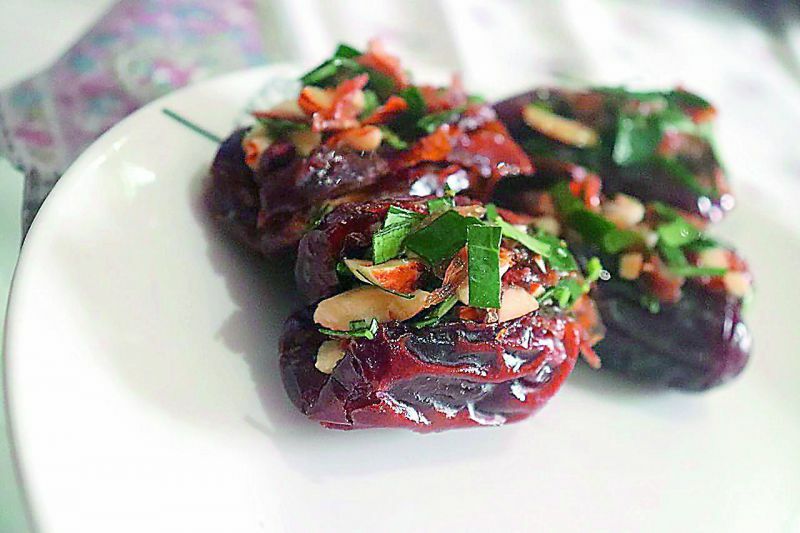 Seeing the growing popularity of the initial two varieties of sweet (mitha) and plain (saadha) paan, the boring old flavors are now a thing of the past, making way for a burst of new and creative tastes, which would make even paan haters’ mouths salivate! Who doesn’t love chocolate? Now imagine biting into a rose and mint flavored paan topped off with oodles of your favorite grated chocolate. Many paanwallas have taken this a notch further and dip the leaf in cold chocolate giving the frozen chocolate flavored leaf, a wonderful crunch. A perfect combination of sweet, sizzling and crunchy. A definite hit amongst youngsters! Just like there is fruit and nut chocolate, there is fruit and nut paan. This paan filled with chunks of crunchy almond and cashews and is coated with chocolate and sprinkled nuts and served as a tasty delicacy. 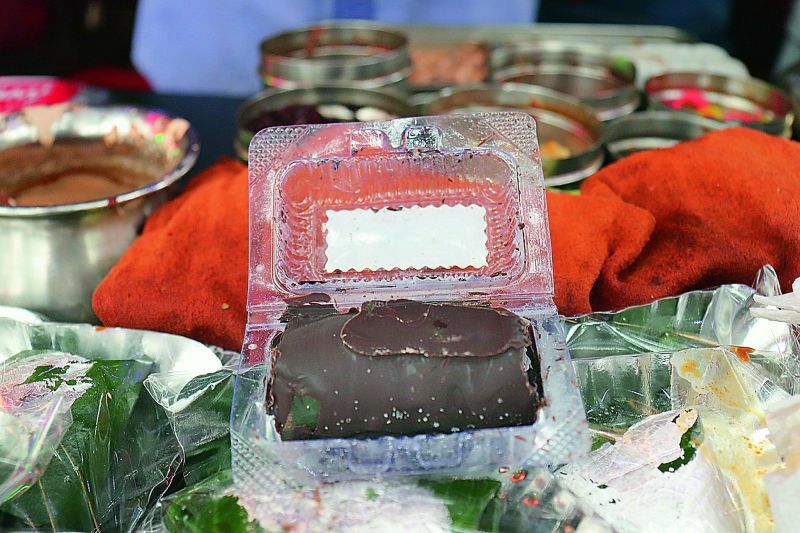 This paan is the perfect choice for anyone who loves the chocolate and nut combination. Chuski paan is the perfect paan for a hot summers day, when all one needs at the end of a heavy meal is something to cool the palate. Take a whole lot of ice, add in some flavored syrups like mint, orange, strawberry or kala khatta, and then put in all the regular paan ingredients, wrap it in a betel leaf and voila you’ve got yourself a chuski paan. The perfect recipe to cool off on a warm Indian summer day. This is a must try for the gastronomically adventurous! 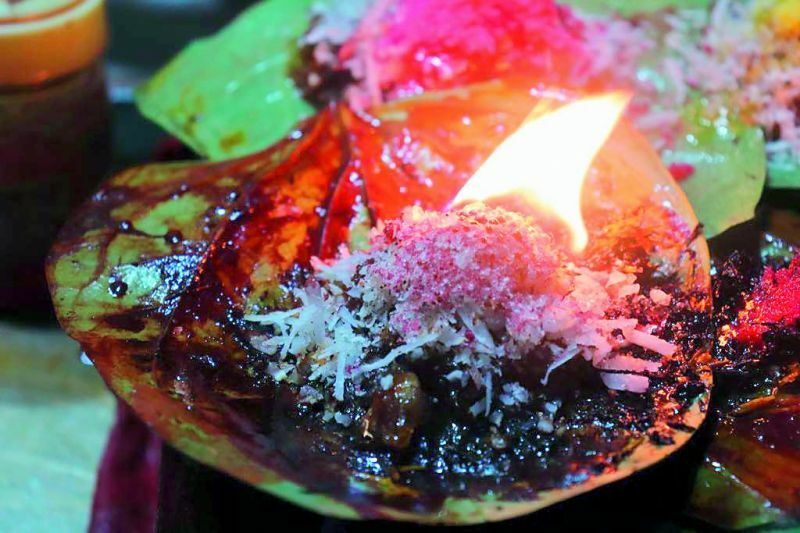 The seller makes a usual paan, and then lights it up! The cloves on top, are accountable for the fire. 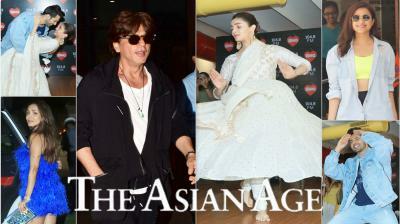 Once lit, you open your mouth, and he pops the flaming paan right in! As it enters you mouth, the mint cools the heat, leaving your mouth cool and fresh. This paan was invented in Rajkot, and was inspired by the flaming alcohol shot kids drink today. Now this sure is one unique paan! Usually paan is an after meal digestive, where as this one is a starter before the meal. Thai people love spice and their paan is a reflection of this. Served as a palate cleanser at eateries in Thailand, you would find it in many authentic Thai diners in India too. 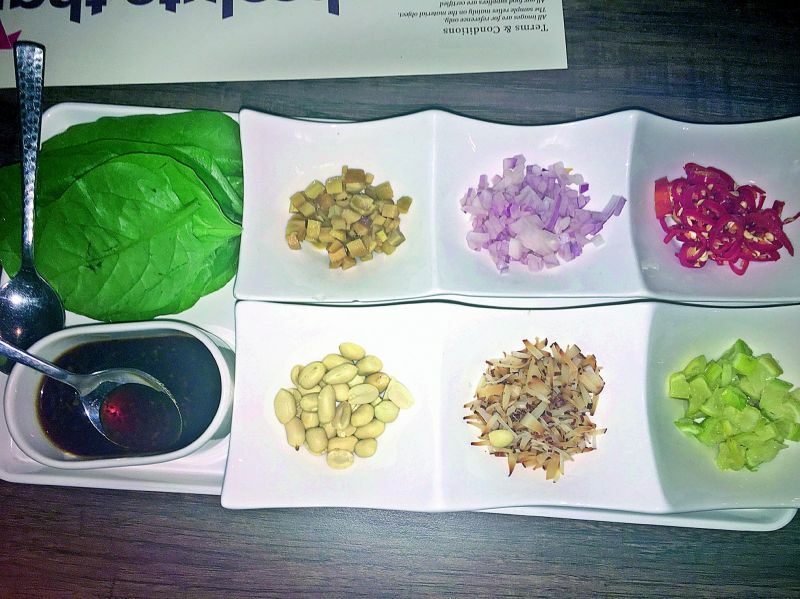 The leaf is filled with pieces of lemon, ginger, thai bird chilly, coconut and peanuts. regular ingredients, and then topped with a fruit flavoured powder. This is usually made of a powdered version of the dried preserve fruit. This paan is most enjoyed by children. Then there are desserts that have been infused with paan flavor. These usually have an addition of mint and rose paste (gulkand) to give it the refreshing and cooling paan flavor. Some paan desserts include a paan kulfi, paan milkshake, paan ice cream, and my favorite the paan cupcake. These are chocolate cupcakes, with a frosting that has paan flavor. A mouth-watering desi fusion dessert. 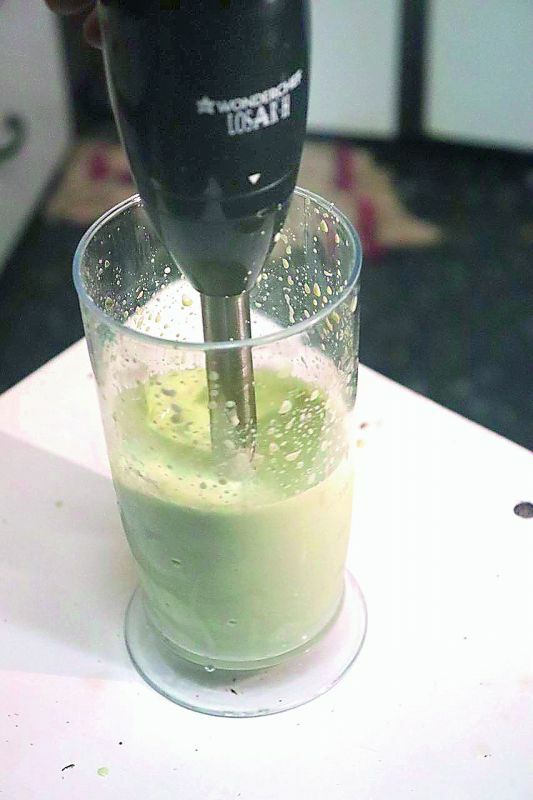 Paan milkshake is a healthy and refreshing drink, the entire family will enjoy. Gently cut the dates in the middle, leaving the ends still together. Wash the betel leaves, remove the stalk and finely chop. Mix the leaves together with the gulkand, to make a thick paste. Cut the chocolate into small pieces and mix with the gulkand and leaves. Stuff it into the dates. Store in the refrigerator. Serve chilled. — The writer is a food and travel blogger.